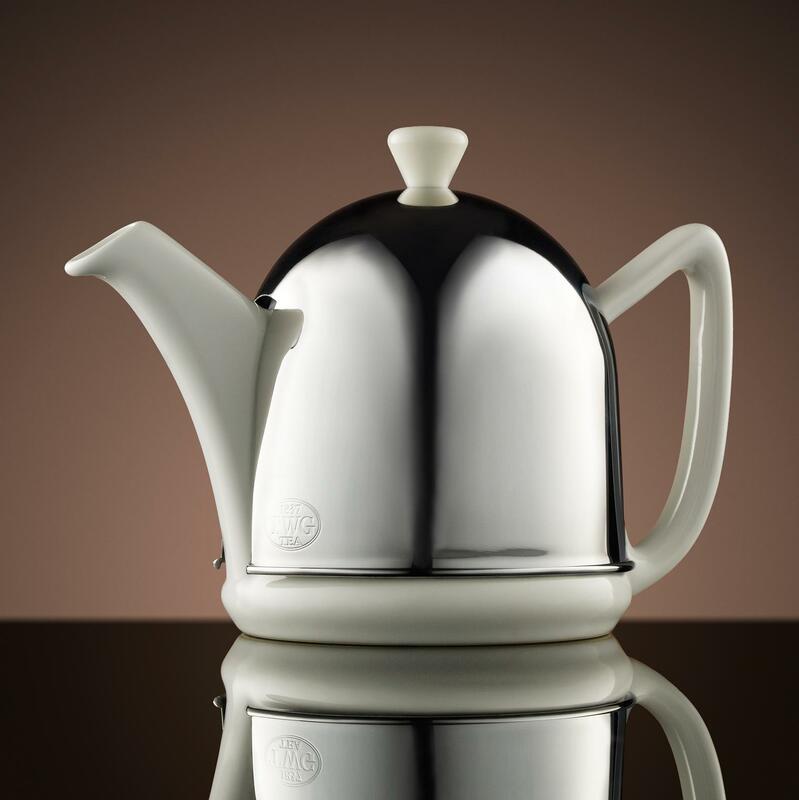 The TWG Tea Dome teapots represent the convenience of modern functional features and the pleasure of serving tea in the classic beauty of an exclusive TWG Tea design. 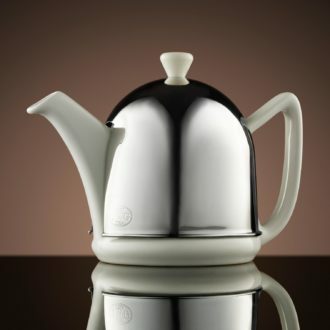 A high-quality polished stainless steel warmer with an inner felt lining envelope the porcelain teapot and keep the tea warm for one hour. All the porcelain teapots come with an especially designed removable filter which allows the leaves to unfurl and to develop their fragrance during the infusion. This teapot is perfectly suitable for all tea varieties.